Asana functions particularly well in scenarios with well-established teams with well-established processes and a mature SDLC. The reason is that Asana can be configured to do many, many different things, and be used in many, many different ways, and with that power comes a lot of responsibility to figure out your process before you try and automate it. It's software, not magic. Asana allows you to organize your task through a list or through boards. Asana has a great user interface so it's easy for you to locate the projects and the pieces of tasks under each project. Asana's "My Tasks" feature allows you to see all the tasks assigned to you and you can re-arrange them according to priority level. Asana allows me to attach files to each task which allows us to see the progress of the project. It allows you to comment on the current files and the owner of the task can revise it then according to your instructions. I had a positive experience with it. It was easy to learn and my team really enjoyed collaborating it and assigning projects through this tool. If I could get all staff involved and provide incentives for all of us to use the tool, we would be probably 2x more efficient with our productivity. Everyone has their own tools to manage projects but we should stick to just one tool like Asana. They don't fix everything, but they have certainly gone the extra mile for us. When we were frustrated with a recent change that altered our default view of every project, changing it from all projects being visible to just incomplete projects being visible, they wrote a custom script to change all of our default views back for us, so we didn't have to manually click 3,000 times (we have over a thousand projects). Asana Board is really awesome and assigning tasks is ultra easy. I can manage multiple projects without headaches. I'm not sure how this impacts our ROI. We are able to manage our workload better and see the workload we have. 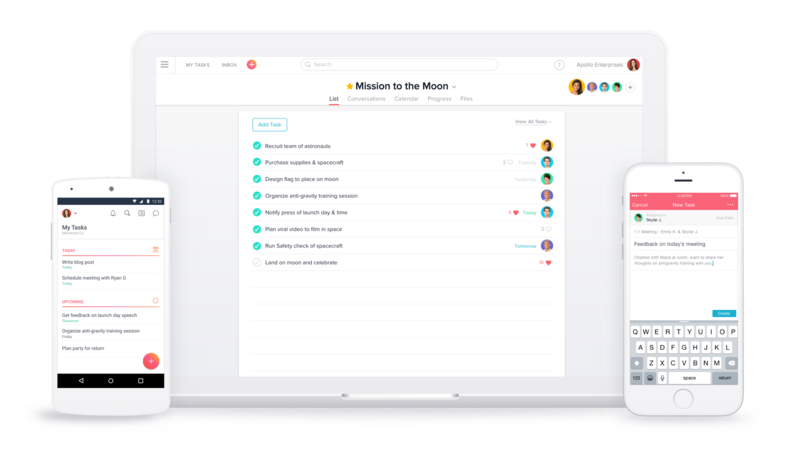 Asana is always free for teams of up to 15 people.